Philipp Stollenmayer has become one of my favorite mobile game developers, and his most recent release Bacon – The Game (Free) has pretty much taken the world by storm. And while I love Bacon – The Game and its counterparts Pancake – The Game and Burger – The Game, they do fall into a more simplistic and silly category of games. Stollenmayer is also known for making killer puzzle games and, back in the spring of 2014, the critically acclaimed platformer Sometimes You Die ($1.99), which more or less put him on the map. Sometimes You Die wasn’t just an enjoyable platformer but a game that questioned what games actually are and was an exploration on game design at its core. It really is a masterpiece that you should play if you haven’t. 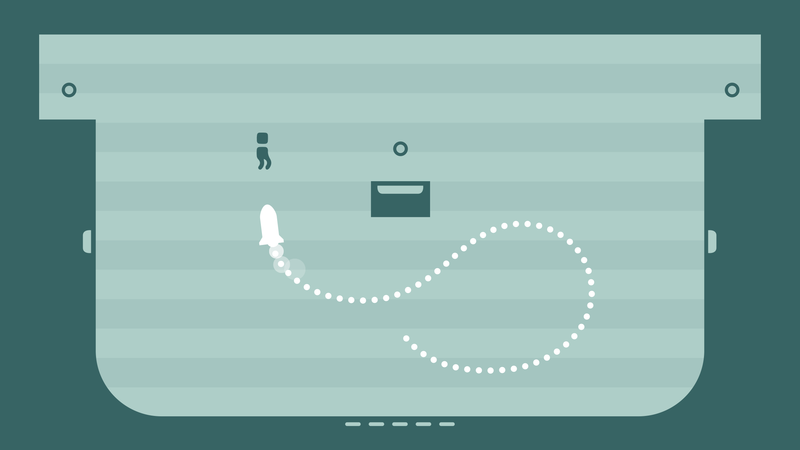 Now Philipp Stollenmayer is returning with a new platforming game called See/Saw. Inspired by some of the best twitch platformers of our time like Super Meat Boy, VVVVVV, and N++, See/Saw is a bit odd in the genre in that you don’t have the ability to jump. You can run left or right and even up walls to a certain extent but your jumping ability relies on the carefully placed little springboards spread throughout the levels. Your goal is simply to collect all the coins in a level, and the big twist is that you can continue to collect coins even after you’ve died. In fact a large portion of the game’s levels will require you to die to complete them. This feels like a nod to Sometimes You Die where the corpse of your character remained after you were killed and you were often required to die many times on purpose in order to build up a pile of bodies to help you pass a certain objective. Of course all this senseless death is done in the most lighthearted of ways as evidenced by the colorful trailer and its upbeat and jazzy music. Dying is a good thing in See/Saw. You’ll move your character by touching either left or right on the screen and tilting the entire level in either direction and in addition to the springboards that allow you to jump you can also use your momentum and physics to do some acrobatic things in order to reach each coin in a level. And speaking of levels there’s a whopping 150 of them in See/Saw as well as an amusing little story tying everything together. As in Sometimes You Die things aren’t always as they seem in See/Saw. If you like what you see here you can grab See/Saw when it launches just shy of a month from now on November 7th at a price of $2.99. Next PostNext ‘Pandoraid’ Review – What’s in the Box?